Healthy Fast Food Substitutions Make Eating at Fast Food a Snap! Is there such a thing as healthy fast food? Fast food is inevitable for most of you, especially if you have kids!? Its an awesome plan to have a strategy in your back pocket that allows healthy eating without breaking your food bank calorie limit for the day! 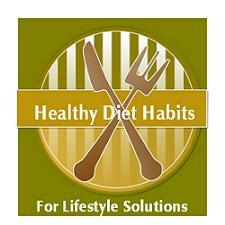 Is it really possible and what should the healthy diet habits be? Although I am not a huge fan of fast food, I am a fan of healthy eating! I do believe that you can make healthy educated choices most of the time! First, everyone should know their calorie limit for each meal. This involves filling out your meal plan chart. Grab your calorie level that you allow for each meal. This is a range that you should aim for. This just helps you from going hog wild in your fast food ordering. Your target meal plan amount might be 800 calories, but your milkshake choice was 1200 calories. Probably not a great choice!! Two lifestyle solutions exist from there and both involve substitutions! Know the calories first of all. Delete calories where possible like mayo, cheese, high fat salad dressings, sour cream, butter, or crunchy salad toppings! Most places have light salad dressings! Avoid anything fried and substitute a grilled meat choice over fried. Downsize your portions. Kids meal sizing is actually a great size for adults. Maybe substitute a salad for the choices of fries or eliminate that milkshake that is a full meals calories. Pick and choose what would work in your calorie plan! Each place is different, so it is difficult to give specifics. Once you work out your plan, you can use it over and over for healthy fast food choices. A little up front work with huge pay back! Choosing a grilled chicken sandwich over your double burger! Choosing a potato topped with chili and no butter and sour cream, and ordering a side salad rather than your usual burger, fries, and milkshake. Choosing a turkey sandwich with lots of veggies and no cheese, rather than the tuna choice that is loaded with high fat mayo. Make tuna at home. Each place is different so use that app to make your decision. I usually do this before I enter the restaurant, because it takes time and I have often ordered something I did not want because I was next in line! Learn from my mistakes! Two lifestyle solutions for healthy fast food and both can work! Either revamp your existing choice, or choose a new healthier choice! Check out each specific restaurant for specific ideas! I will be visiting each one in the next few months, so check back often for my healthier picks!